I only got a few (very very necessary) items. I really like the MUA and FashionistA products, they are super affordable and since they added a the new line, there are endless options. Since makeup in my country is really (really) expensibe, when I think that I can get a lipstick for 1 pound, it's a no brainier. Love the shade 1 lipstick, it's a dark burgundy red super creamy and moisturising. Runaway Power Pout is a pinkish red lip crayon that smells minty fresh. I got four eyeshadows, all from the FashionistA range. 3 of them are blended, what I particularly don't like about this three is that they are uber shimmery, the glitter is thick and it goes everywhere! 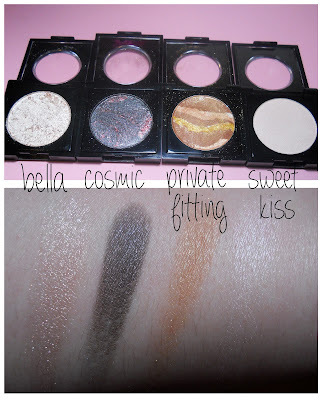 I will have to say that cosmic is super pigmented and perfect for a going out smokey eye. The last one is sweet kiss a pinkish white shimmery color perfect for highlighting the browbone or for the inner corner of the eye. I also got two primers, a skin one and an eyeshadow one. The second one I don't like at all; I got quite oily eyelids and this only makes it worse, my eyeshadow creased faster than ever. Have you tried any MUA or FashionistA products? Love this haul! Also love MUA, have you tried their glosses? They're super pigmented and not too sticky. After seeing this post I defo wanna try their eyeshadows! I love the fact that this brand is so affordable. Nice blog! I'm happy to be your newest follower on GFC , it would be great if you'd follow back :).I'll be waiting for you! 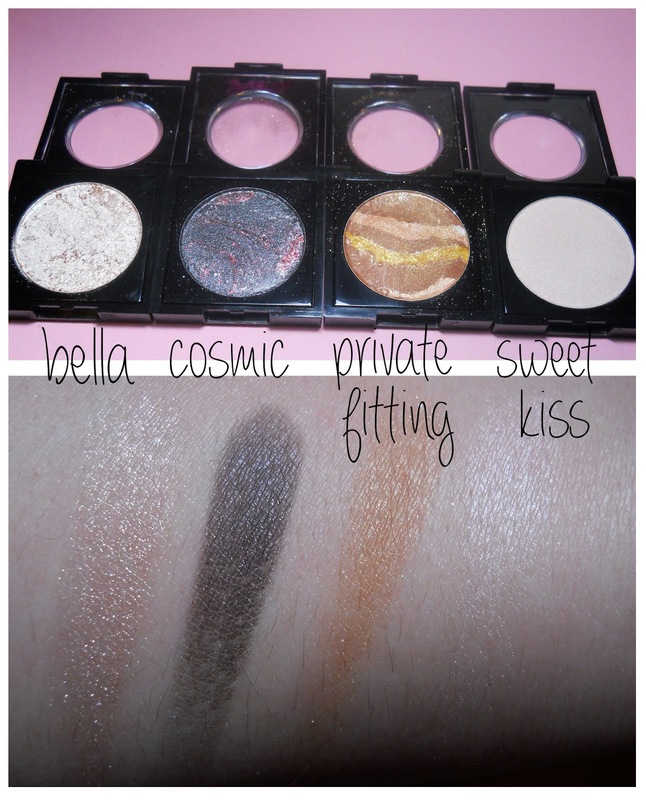 sweet kiss and bella are amazeballs! lovely haul! the lipsticks are beaut! I've never had MUA products before but the lip color looks amazing! Such a pretty lipstick color! I love shades of red!